We respectfully acknowledge these events will be taking place on stolen unceded land. So called Victoria and the surrounding areas lie on the traditional territories of the Coast Salish and Lkwungen-speaking peoples, including the Esquimalt, Songhees, and W̱SÁNEĆ First Nations. April 11th, City council will vote on an inclusionary housing policy. We need to fill the hall to support those who speak in favour of dramatically increasing the required inclusionary housing in new development project approvals. Wake Up Call to End the Overdose Crisis! Safe Supply NOW! Wake up call for SAFE SUPPLY NOW! End the Overdose Crisis NOW. Victoria people! Come and make noise, show your rage about the ongoing and preventable overdose crisis. This war on people that use drugs continues to destroy our communities, families and friends. Bring pots, pans, buckets, drums - anything to make noise with! WE DEMAND A SAFE SUPPLY OF DRUGS DIRECTLY TO THE PEOPLE WHO USE THEM - NOW! For more local information about the event you can contact the South Island Community Overdose Response Network, Stay tuned for the poster! Please join us for our next Together Victoria General Meeting on Tuesday, April 16 from 6:30 pm - 8:30 pm at The Dock Victoria Coworking Space (300 - 722 Cormorant Street). We will post the agenda with links to necessary documents below. We will vote on whether to adopt the proposed Advocacy Process and Matrix. Voting Members can also bring forward any proposals for advocacy initiatives or opportunities in the community for Together Victoria to consider. Email us in advance if you have a suggestion so we can project it on the screen. We strive to be inclusive and accessible as possible. Children are welcome and encouraged. If you would like bus tickets to attend please reach out. The venue has an elevator up to the third floor. We ask that people do not wear scented products, a variety of different chairs are available, and gender neutral washrooms are available. We hope you see you on April 16th! April is Earth Month and to show our appreciation for this place we call home, we are doing a Bottles For Beaches campaign! For the ENTIRE month of April, you can bring all of your refundable beverage containers to the Bottle Depot and the full refund will be donated to Surfrider! Let's do our part to keep these containers off our beaches and out of the ocean. Our next general meeting will be held at the UVic Student Union Building in room B028, located in the basement, at 6:00, April 11th. Non-members welcome! From April 11 to May 16, learn how you can defend old-growth forests in a fun and info series! Vancouver Island’s old-growth forests are being logged at an alarming rate, three times faster than tropical rainforests, and the BC government is not responding appropriately to this crisis. We need more British Columbians armed with information and ready to take action to protect what remains of these unique ecosystems. That’s why Sierra Club BC is offering a six-week crash course on the state of old-growth forests on Vancouver Island, forest policy in BC, and what you can do to step up pressure on the decision-makers allowing this short-sighted destruction to continue. Join Sierra Club BC forest campaigners Jens Wieting and Mark Worthing, lead organizer Galen Armstrong, and other experts in the field of forestry and conservation. Topics will include the relationship between climate change and forests, debunking forestry myths and misinformation, Indigenous jurisdiction and more. Webinars can be attended by computer or phone (computer and internet is required to see speakers and slides). A mic and camera is recommended for participation in the question-and-answer periods. This six-part webinar series will be offered on Thursdays from 12:00 pm to 1:00 pm PST, April 11-May 16. Webinar recordings will be made available to webinar series registrants. This series is offered free of charge; however, we invite you to make a suggested $15 donation to help cover our costs. The Migrant Crisis: "WALK WITH US"
Story: This is the story of the migrant crisis through the eyes of Pastor Ignacio Martinez, the founder of ABBA safehouse in Celaya, Mexico. It started when his family took food to migrants jumping freight trains. Some were sick, there was nowhere to wash or sleep. So he founded ABBA, where they can rest, receive food and medical help . The film shows the gap between President Trump calling migrants “rapists and criminals” and the sad reality. Most are escaping abject poverty and gang violence in El Salvador, Honduras and Guatemala . Their dreams of a better life in the USA have been met by tear gas at the border and cuts in aid to their countries. In this world of nationalism and xenophobia, Ignacio’s work is vitally important. Context: It's a worldwide crisis - 68 million migrants are on the move. The ravages of climate change will create millions more. Yet nations refuse them. Britains’ Brexit aims to restrict them. Many Syrians, Afghanis and Iraqis languish in sordid camps in Greece, or are beaten from the borders of Croatia, Hungary and Poland. The irony is that many countries have aging populations and declining birth-rates. So immigrants – who do the work that no one wants – are needed. The film will be followed by comments and audience discussion with 'Walk With Us' Filmmaker-Director Judy Jackson and local educator Lorenzo Magzul (originally from Guatemala) about local and global efforts to support the migrants and the root causes of the crisis. About the Director: Judy Jackson’s many award winning documentaries about human rights and social justice have been shot in dangerous places. Many have been about dictatorship and human rights in Latin America and Central America. They've been broadcast on the BBC and Channel 4. Guest: Lorenzo Magzul is from the Highlands of Guatemala and works as an educator and researcher focused on sustainability and social justice. He has lived in Victoria for over thirty years while maintaining a strong connection to his Cakchiquel Maya community and culture. Join us for our monthly community dinner Friday, April 12th from 6:30-8:30 pm in the Garry Oak Room (1335 Thurlow Rd.) Grab some grub, create community connections, and enjoy a night-off from cooking. Our chef, Safia, works with the International Women's Catering Co-Op (IWCC) and ensures gluten, vegertarian, dairy, pork, and alcohol free options. Bring extra containers in case there is leftovers. Please register online to confirm your spot! We are accepting donations (suggested $5 per person/ $10 per family) but no one will be turned away. All are welcome. This dinner is made possible by the Strategic Plan Grant through the City of Victoria. This spring, Open Space presents Field Guides For Listeners, a collaboration between sound artist Jenni Schine and visual artist Jay White, which examines the relationship between art and science through studying the effects of salmon farming on the Pacific Coast of B.C. This ongoing project draws attention to salmon spawning and farming through Schine’s audio work and a graphic novel written and illustrated by White. The project is informed by a series of residencies at the remote Salmon Coast Field Station (SCFS) in Musgamagw Dzawada’enuxw territory (Broughton Archipelago), B.C. The installation will include portions of White's documentary-style graphic novel, which draws from interviews with scientists and field workers at the Salmon Coast Field Station. Part of the gallery will be converted into a comfortable gathering place for readings, discussions, and other events to engage dialogue and inspire listening. The exhibition will also feature an 8-channel composition composed by Schine using unique cedar audio-panels designed by composer Giorgio Magnanensi; he will present a workshop at Open Space on May 31 from 5:00-7:00 p.m., followed by a performance from 7:30-8:30 p.m. The gallery exhibition will be open to the public April 12-May 31, 2019, Tuesday-Saturday from 12-5pm. Admission is free / by donation. We hope you will join us for some of the following events! Opening reception: Friday, April 12, 7:00 p.m.to 10:00 p.m.
Soundwalk with Jenni Schine: Saturday April 13, 1:00 p.m. to 3:00 p.m. The Monster and Sea 24-Hour Paddle for Cancer (2019) Team Vancouver Island will be stationed out of Pacifica Paddlesports in Brentwood Bay. Pacifica Paddlesports will graciously host Team Vancouver Island where we will have warm shelter, food, amenities and an easy place to launch our paddleboards. One or more 6-person teams will make up Team Vancouver Island. All teams paddle together from 8am-9am, 12am-1am, and 7am-8am. Between these hours, teams will rotate through a flexible schedule to ensure that at least one team is paddling for an hour every hour. People joining a team must be able to commit to the 24 hours. "Why 24 hours? You can do anything for an hour, or even six. But when things start to push the comfort boundaries - negative self talk starts. When you are surrounded by a team, friends, family and community - all shoulder to shoulder with you. That self talk turns to 'I can do this.'" - Troy Nebeker. If you can only paddle for a short period of time then just come on down to Pacifica Paddlesports and paddle with one of the teams. We can always use some extra cheer and support! Join us for an afternoon of free family friendly activities in celebration of our great Earth! In partnership with Habitat Acquisition Trust and the Metchosin Biodiversity Project, Boys & Girls Club of Greater Victoria is hosting an Earth Day celebration in beautiful Metchosin BC! With guided nature walks every hour, a nature scavenger hunt, nature inspired games and activities, BBQ lunch, and some incredible information for some our community’s key environmental groups, this event is not something you will want to miss! The City of Victoria’s Strategic Plan identifies a suite of new housing initiatives aimed to increase housing affordability and provide support for renters. Guided by priorities identified in the Strategic Plan, stakeholder input from a recent Housing Summit held in March, and community input, we are revising the Victoria Housing Strategy to create a roadmap for achieving improved housing affordability. During the open house event the community will learn more about housing actions identified for the Housing Strategy and provide input as well as recommend new actions for consideration. More public input opportunities on specific initiatives in the Housing Strategy are planned to take place over the coming year. Have you experienced harassment or discrimination in the workplace? Have you been fired without cause? Do you know your rights at work? Those of you who are working, have worked, or may work in the retail, hospitality, or food service industries are invited to join us for a meal as we learn about workplace rights in BC! Advocates Jeanne Robert from the Vancouver Island Human Rights Coalition and Stephen Portman from the Employment Standards Legal Advocacy Project and Together Against Poverty Society will be joining in the discussion to answer questions and provide advice surrounding your issues at work. We are honoured to have Federal NDP leader Jagmeet Singh as our keynote speaker for the Victoria NDP nomination meeting! Eligible NDP members will decide whether Laurel Collins or Sabina Singh will succeed Murray Rankin as the NDP representative for the Victoria federal electoral district. CELEBRATE THE ANCIENT CEDAR FOREST OF MEARES ISLAND - 35 YEARS OF PROTECTION! This is the first of several public events being planned throughout the year across Canada in honour of the 35th Anniversary of The Meares Island Tribal Park Declaration. Additional event locations to include Tofino, Meares Island, Vancouver and Montreal. Further details to be announced. We are honoured to have elected Chief Moses Martin joining us for this first event in Victoria. Moses was also Tla-o-qui-aht's elected Chief in 1984 and stood on the logging blockades to declare Meares Island to be a Tribal Park. We are also honoured to have Miles Richardson from the Haida Nation and the Indigenous Leadership Initiative to come and share his insights into the mutual support from those early years of pioneering "Indigenous Protected and Conserved Areas" or IPCA's. Also, we are glad to have Canadian scientist, broadcaster and author, Dr David Suzuki joining us to share his perspective on the importance of Tribal Parks and other Indigenous Protected and Conserved Areas! Additionally, we will have award winning singer/songwriter Art Napoleon providing us with musical performance, and we will share two short films on IPCA's and Indigenous Economics that have not yet been viewed publicly! Klecko Klecko Moses, Miles, David and Art! Come and make history with us - learn, share and have fun! Let's celebrate accomplishments to date, and look forward to the future, together! Efforts to create more pleasant and vibrant public spaces have been around for a long time, but the scale may get a lot bigger, very quickly. When you make a car lane into a bike or bus lane, or create a pedestrian priority zone, traffic disappears. And automobile speeds don’t usually change much. ‘Tactical urbanism’ – is the name given to making inexpensive temporary changes to test out ideas, before deciding to invest in permanent changes (or not). More and more cities are using tactical urbanism to make traffic disappear, and cut climate pollution, on a scale in keeping with the Climate Emergency. And they are doing it by creating delightful urban spaces and improving active transportation infrastructure on an unprecedented scale. These changes also make cities more affordable and more accessible for people with disabilities, and keep money circulating within local economies. Every year on May 15, Palestinians around the world, numbering about 12.4 million, mark the Nakba, or “catastrophe”, referring to the ethnic cleansing of Palestine and the near-total destruction of Palestinian society in 1948. The Palestinian experience of dispossession and loss of a homeland is 71 years old this year. On that day, the state of Israel was declared. The creation of Israel was a violent process that entailed the forced expulsion of hundreds of thousands of Palestinians from their homeland to establish a Jewish-majority state, as per the aspirations of the Zionist movement. Between 1947 and 1949, at least 750,000 Palestinians from a 1.9 million population were made refugees beyond the borders of the state. Zionist forces had taken more than 78 percent of historic Palestine, ethnically cleansed and destroyed about 530 villages and cities, and killed about 15,000 Palestinians in a series of mass atrocities, including more than 70 massacres. Though May 15, 1948, became the official day for commemorating the Nakba, armed Zionist groups had launched the process of displacement of Palestinians much earlier. In fact, by May 15, half of the total number of Palestinian refugees had already been forcefully expelled from their country. Israel continues to oppress and dispossess Palestinians to this day. For over a decade, we have been investigating the impact of trophic cascades and shifting baselines on island songbird and plant populations on islands off the coast of British Columbia within the Coastal Douglas Fir Zone, as a result of hyper-abundance of native and exotic deer following release from predation. This work is informing management within Parks Canada and in particular the Gulf Islands National Park Reserve and hunting regulations within the region. Tara is a Professor in Conservation Decision Science with the Department of Forest and Conservation Sciences, Faculty of Forestry, University of British Columbia. She is a pioneer in the field of Conservation Decision Science – combining predictive ecological models with decision science to inform what actions to take, where to take them and when to achieve our conservation and natural resource management goals. Tara leads a team of graduate students and research fellows seeking to understand, predict and ultimately inform decisions about the impact of global change on biodiversity and natural resources. Tara was recently awarded The Nature Conservancy Professor in Practice Award, Thomson Reuters Citation & Innovation Award for her work in Climate change decision making and a Wilburforce Conservation Fellowship. Tara is a member of the IUCN Climate Change Specialist Group and co-leads the Climate Adaptation Theme. Earth Week screening of The Radicals, Victoria Blue Dot. In honour of Earth Week, join others on the unceded territories of the Songhees, Esquimalt and WSÁNEĆ peoples, and in communities across Canada, to raise awareness about the need for the legal recognition of the basic human right to live in a safe and healthy environment. Over 110 countries around the world have environmental rights enshrined in their highest laws or constitutions, but Canada is not one of them. Find out more about the Blue Dot movement and the MP Pledge for Environmental Rights initiative that is currently happening across the country. With the federal election just around the corner, it is important to come together to ask federal politicians and parties to focus on the environment and recognizing Canadians’ environmental rights. The Radicals (2018, Canada, 58 min) follows a group of professional snowboarders and surfers who drift from their respective sport into the world of activism. Together they journey across the West Coast of British Columbia, weaving a story of learning, inspiration and resistance. From the Tahltan fight for the Iskut Headwaters, BC Hydro’s corruption in Xwísten, art as resilience on Haida Gwaii, to a coastal uprising against fish farms off the coast of Vancouver Island, each community teaches the athletes to understand what it means to be a true radical. Every relationship has a responsibility. Blue Dot is backed by the David Suzuki Foundation, one of the most trusted environmental organizations in Canada. Opportunities to become engaged with the Blue Dot movement will be available at the event. A member of Beyond Boarding will be present at the screening and will participate in a Q&A following the film, as will DSF Blue Dot organizer Cameron Esler. Tickets are $5 to be paid at the box office at the screening. TICKET PROCEEDS ARE DONATED TO IMPACTED COMMUNITIES. 1. Tahltan Fire Relief Fund, helping victims of Telegraph Creek climate change fires rebuild their homes. 2. The Xwísten, to expand their bridge river restoration work and bring back their salmon. 3. To the Dzawada’enuxw's rights and title case to remove fish farms from their territory. JOIN US LIVE or VIA LIVESTREAM! With the Southern Resident population now at only 75 individuals, their survival is clearly threatened under current conditions. Additional noise from vessel traffic, further reductions in food availability, or random events such as disease and oil spills would significantly increase their risk of extinction. Our research has helped to outline the viability of this population, given existing threats and those on the horizon. The same research also outlines that we can put them on a path to recovery if we take necessary action. Hosted by Bob McDonald, host of CBC’s Quirks and Quarks, this evening will discuss possibilities for recovery of critically endangered Southern Resident Killer Whales. From fisheries closures and feeding refuges free from fishing and whale watching, to noise reductions from commercial vessels, recovery measures are controversial. TWO WAYS TO JOIN US! JOIN US FOR A POTLUCK CELEBRATION HONOURING THOSE WHO TOOK A STAND AND THOSE WHO CONTINUE TO STAND FOR OUR CULTURE, OUR FORESTS, AND OUR FUTURE! In April, 1984, Tla-o-qui-aht Chief Moses Martin declared Wanachus/Hilthuuis - Meares Island - as a Tribal Park. This month on Friday, April 19th, Tla-o-qui-aht Tribal Parks are hosting a Community Potluck to celebrate the 35th Anniversary of the Meares Island Tribal Park Declaration. We look forward to celebrating and expressing our gratitude to those who have stood and those who continue to stand for our forests and waters, and asking all who attend to remember what happened 35 years ago to turn Tofino and Tla-o-qui-aht Ha’houlthee into the place we know and love. Please bring your own cutlery, plate, and food to share to the Tin Wis conference centre! With so much uncertainty and challenge confronting us daily it is natural to feel the need to withdraw or build walls to protect what sanity we have left. We live in polarizing times. Social media has amplified populist rhetoric and hatred of the ‘other’, creating a culture of fear. However, in an interconnected world where climate change, poverty and injustice have no borders, it is more important than ever to let down our guard and find ways to genuinely connect. Using the skills of Mindful Communication, we will focus on four ‘positive interruptions’ to stop the escalation of harmful speech and behaviours that build walls rather than bridges. Based on a contemplative approach, this work begins with developing a sense compassion for ourselves, then expanding this to others, even those we deem as ‘enemies’. This weekend retreat is a healing space to explore the meaning of kindness, patience and fearlessness in the context of grass roots, community based change. We will explore listening spaces called ‘green zones’, where we re-learn the art of human being-ness, being together with awake bodies, tender hearts and open minds. Sisters of all ages are invited to connect, share, and dive deeper into our sacred feminine in a co-created safe space. Are you longing for sisterhood and mutual support? Do you want to support other women to build resilience, and be held by other women in your journey? Bring a song, candles, chocolate and snack to share! Refuse, Reduce, Reuse, Re-purpose, Recycle! In our zero waste workshop, we explore different ways we can make a positive impact on our environment in our everyday lives! Through different crafts such as beeswax reusable food wrap and T-Shirt tote bags, we turn old into new and learn about how small changes can make a big difference in the world around us! Being a professional in the outdoor industry is challenging, intense, and fun. Professionals require professional training, practical hands-on skills and the technical information to give you the confidence you need to look after people under your care. Being a Wilderness First Responder can be challenging. Get the practice you need before the real thing occurs. HEAL THE PEOPLE - DEFEND THE LAND 6TH ANNUAL SPRING CONSTRUCTION CAMP - Volunteers Needed for Cabin Building Projects in May! With spring coming early to the north, plans are underway for new projects across Wet’suwet’en territory, including cabin construction for Wet’suwet’en people. Following the invasion of our territories by RCMP and industry, we are continuing to reoccupy our lands – helping our people reconnect with, reclaim, and protect our homelands. We need people with carpentry, cooking, and camping skills, or a good attitude and a willingness to learn. "Many hands make quick work!" 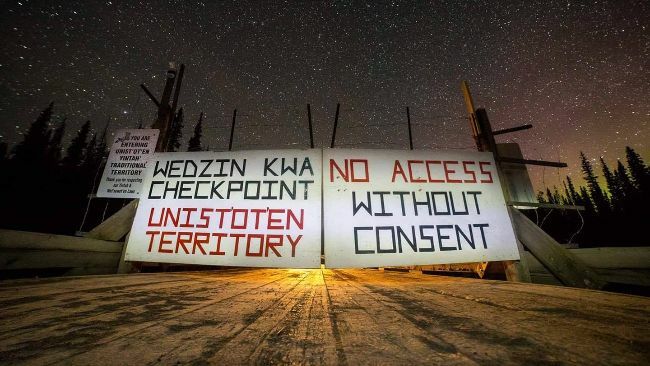 The Unist’ot’en Camp is not a blockade, a protest, or a demonstration – it is a permanent, non-violent occupation of Unist’ot’en territory, established to protect our homelands from illegal industrial encroachments and to preserve a space for our community to heal from the violence of colonization. This year, Unist’ot’en volunteers will be working with other Wet’suwet’en clans to support Wet’suwet’en sovereignty. https://goo.gl/forms/GE5bfm5ITDTyNPy12 Since we sent this call to action a few days ago, thousands of you have sent letters to Justin Trudeau, Jagmeet Singh and Elizabeth May calling for action on proportional representation. Together, we are sending a loud message that proportional representation is more important than ever! Send a Letter for Proportional Representation! On Wednesday, 338 young women filled the seats in the House of Commons for the annual "Daughters of the Vote" event. While Canadians head into another divisive federal first-past-the-post election, politicians in the province of Quebec are showing Canadians what leadership on proportional representation looks like. it’s deeply disappointing coming from a government that campaigned on a promise to make BC a climate leader. And it’s a shame because the government has put forward some smart climate action policies in their “Clean BC” plan -- but these will be totally overshadowed by their reckless plan to scale up fracking and LNG exports in BC. But the bill could go for a final vote at any time, so we need to act quickly. Will you send a message to your MLA now, calling on them to stop the the LNG handouts? The BC NDP are talking out of both sides of their mouth on the environment. They’ve been talking up their Clean BC plan for months, declaring that their top priorities are to “reduce climate pollution” and “shift away from fossil fuels.” And all the while, they’ve been scheming to expand pollution-intensive fracked gas exports in BC. We can’t let this hypocrisy go unchecked. We need to show John Horgan and the BC NDP they can’t take voters who care about climate change for granted. We need to put them on notice, and send a message that ramping up fracking in the middle of a climate crisis will cost them votes. Many Indigenous communities trying to reclaim their land through legal & peaceful means face intimidation and death threats. Some spend years living in fear of violence while the government fails to provide support, guidance or protection. Indigenous communities fighting for their land are struggling for cultural survival. They only ask what was promised to them, so they can leave a bit of their history, land, and heritage to their children. We’ve started a petition. With your help, we can urge the government of Costa Rica to honour Indigenous land rights and protect communities from violence by; supporting Indigenous claims, expediting legal processes and resolving land disputes in a timely manner. Have you heard of “wolf-whacking”? It’s a trophy hunting event where wolves are needlessly murdered for sport and cash prizes - and it’s happening right here in BC. The BC government said that since these cruel events aren’t against the law, they’re not going to do anything to stop them. But Minister of Forests Doug Donaldson is under increasing pressure from dozens of organizations to ban wildlife killing contests altogether, and if we can turn up the heat now, we could force him to take action. If you think these beautiful animals should be protected and not killed for fun, please send a message to Minister Donaldson now. It will only take 30 seconds. We are so close to saving millions of acres of forests and keeping our oceans clean of non-recyclable coffee cups. I'm writing again because we need your help! Over the next few weeks my campaign team is going to reach out to major coffee retailers across the world and ask them to match or beat Starbucks’ commitment to use a recyclable and compostable cup. These coffee brands will heed our advice if we can show them that people like you care about where their coffee cups come from and go to. $74 billion. That’s the amount of money that TD has dished out to dirty fossil fuel projects in the last three years since the Paris Agreement was signed. TD is the second biggest funder of fossil fuel projects in Canada and tomorrow, we’re heading to its annual investors meeting to talk directly to its most powerful executives and investors and let them know that we want TD to stop funding fossil fuel projects. This meeting is the biggest day of the year for executives trying to show off how great TD is to investors. It cares about its “green” image and showing off the truth on social media will force TD to listen. On this super important day, we can shake things up and push for real action on climate change. For too long, banks have got off the hook for their role in the climate crisis. As more mega-projects get off the ground, they can be sourced back to banks who are coughing up the money to build the projects. Almost 15,000 members like you have said “enough is enough” and have called on the major banks, like TD to pull the plug on the funding for the fossil fuel industry. And with your help today, we can ramp up the pressure even more. Can you tweet to TD today? Drilling in the Arctic Refuge would do irreparable harm to this pristine and sacred place, risk the survival of polar bears and Porcupine caribou, accelerate climate change, and trample on the rights of the Gwich’in people.We can’t let this happen. Will you donate now to our campaign to stop Arctic drilling in its tracks? In a review of BC Timber Sales’ (BCTS) sales schedule, environmental organizations Elphinstone Logging Focus (ELF) and Sierra Club BC have found the provincial government agency is proposing cutblocks across the last intact old-growth rainforest areas on Vancouver Island adding up to more than 1,300 hectares. The area, equivalent to the size of more than three Stanley Parks, is intended to be auctioned for industrial clearcutting in 2019. “Vancouver Island’s ancient rainforests have helped sustain Indigenous cultures, a vast array of plants and animals and a stable climate since the last ice age. The province shouldn’t risk eliminating rare species and plant communities across these blocks," said Ross Muirhead, a forest campaigner with ELF who monitors BCTS' logging developments. “Destroying the last great old-growth stands is a huge mistake that will be looked back upon by future generations as a huge travesty. Remaining intact forests are needed to create linkages within highly fragmented landscapes and to avoid tipping points when it comes to climate change and species extinction." The majority of the proposed cutblocks target intact productive rainforest ecosystems that have only a fraction of their original extent remaining. These areas are at high risk of losing the plant and animal species that depend on them. The B.C. government does not share detailed information about how much old-growth remains in each ecosystem, how much is set aside or what a clear logging threshold should be to protect what’s left. Sierra Club BC data shows that industrial old-growth logging continues at a rate of more than three square metres per second, or about thirty-four soccer fields per day. The groups analyzed BCTS’ sales schedule for October 2018 to September 2019. Government data show the majority of the 1,300 hectares listed are forests with an age of 140–250 years. This means they have not previously been logged by industry and have most of the features of old-growth stands older than 250 years. As big trees older than 250 years become increasingly rare, trees older than 140 years become more important to protect as remaining habitat for old-growth dependent species like marbled murrelets and spotted owls. The largest concentration of proposed cutblocks is near Sproat and Nahmint Lakes in Hupacasath and Tseshaht territories close to Port Alberni. Other areas are near Sayward (Ma’amtagila territory) and Gold River (Mowachaht/Muchalaht territory). “Logging 1300 hectares of scarce, carbon-rich, old-growth forest is about the worst action a B.C. government agency could take for climate change mitigation and forest resilience on Vancouver Island. These clearcuts will release hundreds of thousands of tonnes of carbon dioxide and destroy more temperate rainforest and diverse forms of life.” said Dr. Jim Pojar, ecologist and author of a milestone 2019 report on forestry and carbon. Sierra Club BC and a number of other environmental organizations are calling for immediate action to protect remaining intact old-growth in order to safeguard threatened species, Indigenous values and a liveable climate. The NDP’s 2017 election platform included a commitment to act for old-growth, promising to take “an evidence-based scientific approach and use the ecosystem-based management of the Great Bear Rainforest as a model.” But the B.C. government has not yet taken any meaningful steps to protect endangered coastal and inland old-growth ecosystems outside the Great Bear Rainforest. Recently, the B.C. government stated that it is working on an old-growth strategy. However, environmental organizations have been waiting for details and timelines for months, including updates on what interim steps will be taken before almost all of the remaining endangered ancient forests are logged. Dr. Jim Pojar report on forestry and carbon in B.C. : https://sierraclub.bc.ca/7-myths-about-forests-carbon-and-climate-change/ Copyright © 2019 Social Environmental Alliance, All rights reserved. 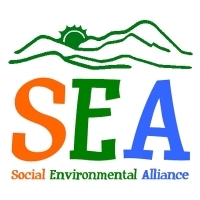 You are receiving this message because you've signed the SEA contact list at an event in the community or corresponded with SEA.